Focusing on the cooling process and ensuring the quality of the pellet feed - Wuxi Huamu machinery Co.,LTD. The pellet feed cooling section is required to ensure that the moisture content of the granule feed meets safe storage requirements after cooling. 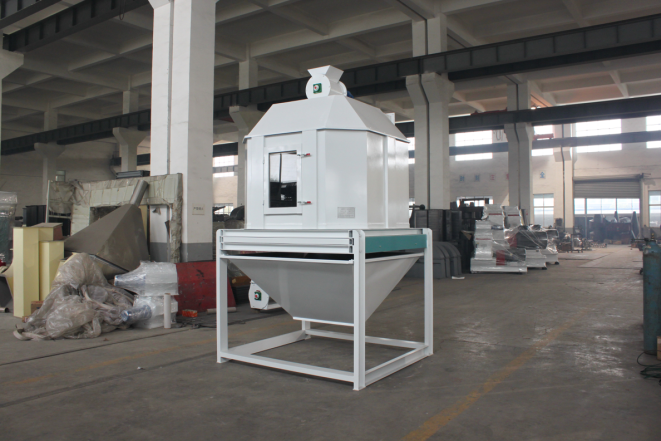 Aside from the method of controlling the moisture content of pellet feed effectively and the cooling process itself, there are many other factors that influence the moisture content of the granule output. In the feed cooling process, it is necessary to choose the efficient cooling equipment and a suitable wind net. The current flow type cooler is widely used in feed plants. It is an advanced piece of cooling equipment adopted internationally in the 1990s. After the counter flow is cooler among the particles, the temperature is lower than room temperature by 3 - 5 ℃, the precipitation rate is higher than 3.5%, the grain is cooled and the surface is not cracked, and the appearance is smooth, the product will then be good for sale, transportation and storage. The cooler produces cooling wind flow and material flow in the form of relative flow. The outside cold air from the bottom of the vertical section comes through the grain layer, the cold particles then come in contact first, and then the hot wind that is gradually generated comes in contact with the hot particles. Because of the wind direction and material flow direction, the grain cools gradually. It can avoid the general vertical cooler because of the cold wind. This being said, the particles crack because of direct contact with high temperatures. To ensure the moisture content of the granules meet the levels of the quality index, the water in the raw materials should be controlled first. Corn makes up a large portion of the feed and its standard water level is higher than the standard moisture of the feed, so it is important to control the water content of the corn in the raw material. Therefore, when a feed factory is purchasing raw materials, it is important to check the moisture content other than just the main nutritional indicators. 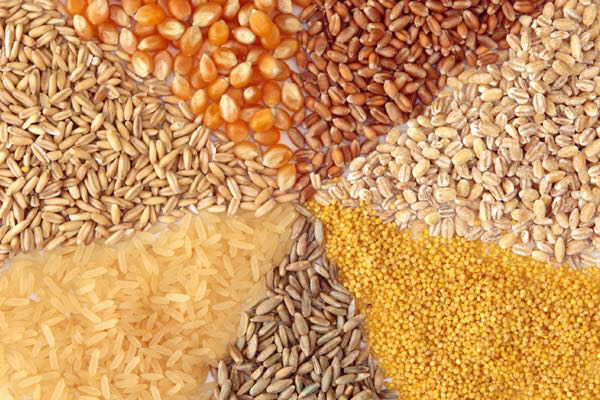 If the water content of raw materials exceeds the standard level, other methods must be used to process the grain before making it. This is done so that its moisture content can meet the quality requirements. Only strict control of the water content of various raw materials can ensure the final product’s granules can reach the required levels on the quality index for safe storage. The quality of the steam and the amount of added weight directly affects the moisture content of the finished products, but are ignored by many feed mills. The granules are suitable for dry saturated steam and should not contain condensation water. Proper vapor pressure is generally set at 0.2-0.4 MPa. The steam pressure is basically stable, and the fluctuation range of the pressure levels should not be greater than 0.15mpa. In order to ensure that no condensation enters the conditioning system, the boiler room should be as close as possible to the main workshop, and the boiler room and main workshop should have buffer sub-cylinders. The steam is transported by high pressure, and the automatic hydrophobic device is set in the conveying pipe and at the bottom of the cylinder. The main workshop steam and water separator should not be too far apart from the granulating machine. The backwater pipe should be arranged vertically. The water trap and the water release valve can be removed effectively, and the condensation water can be effectively eliminated. The influence of steam quality control on particle moisture is enormous. If it meets the requirement of the steam system, it can get twice the result with half the effort. Only reasonable and effective control of steam quality can control the moisture levels and improve the quality of the finished granules.